Something special seemed to be in order for Sean Connery’s 83rd birthday today, and what’s more special than his infamous outfit from Zardoz? Connery plays Zed, an “exterminator,” who wears the uniform that comes with the role. I’m at a loss of words to describe this outfit, other than it looks like a red diaper held up by red braces that hold shotgun shells. Tall, dark brown leather boots too. Anyway, happy birthday Sean Connery. That’s really mean, Matt 🙂 Even his dungarees in NSNA look pale and flat compared to this outfit. Anyway, I did have a good laugh. Keep up the great work ! That is quite the image. Good thing his innate manliness saves him from looking ridiculous isn’t it. I don’t think Terrance Young was on set for this one somehow. Very unfair, Matt. Not even Connery can get away with that outfit which is very close to Borat’s. 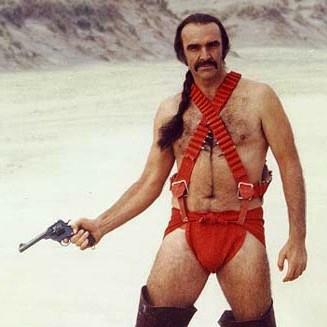 Man, I saw “Zardoz” on tv back in the Eighties and had successfully wiped that ‘outfit’ from my memory…till now. Thanks! (That was sarcasm, by the way). Great blog! Been meaning to add a link to it on my blog. Finally did so. Something I’ve often wondered Matt, is are you a film fan or a fashion enthusiast first? What inspired you to produce this website? 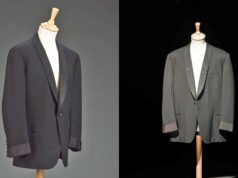 Your love of bond films or men’s clothing, or a bit of both? Excellent Matt! I love your sense of humour: I hope Sir Sean does too! I was wondering how you would bring that one and it is simply briliant. Well, at least Sean appears to be in better shape than in Diamonds. Yes, scary. 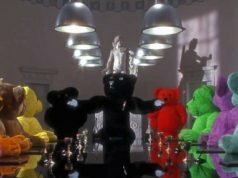 Evidently Connery believed the original script made worthy statements about warfare and imperialism, but the studio scrapped all that and just pushed it as a a SF thriller. At around the same time, Charlton Heston was wearing even less in PLANET OF THE APES, so it’s all relative. My Scottish friends tell me he has done great things for struggling folk there, and for Scottish nationalism. Can an actor get any further from the Bond image? Watching the unjustly-ignored The Offense, and reminded of this post. There are plenty of interesting period Connery pieces. Check this one out, for example. Love to see your take on it. 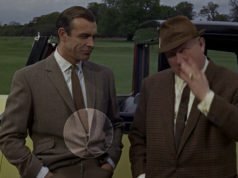 He’s got some sort of brown suit on (mostly under a rather bulky coat), and it all feels to my untrained eye rather correct and comfortable for a 1972 British detective. A bit of a change from the more stylish (except for Zardoz!) Connery fare. The Offence’s suits (actually there were not many) looked very nice indeed, and I think he wore them -at least the brown one- with ecru shirts and olive grenadine ties. He had kept his good sartorial trademark !